A bold, vintage look with endless designer appeal, the Dizzy Rug by Serge Lesage features an organic camouflage print. The neutral khaki backdrop is contrasted with flashes of red, white and blue aqua. 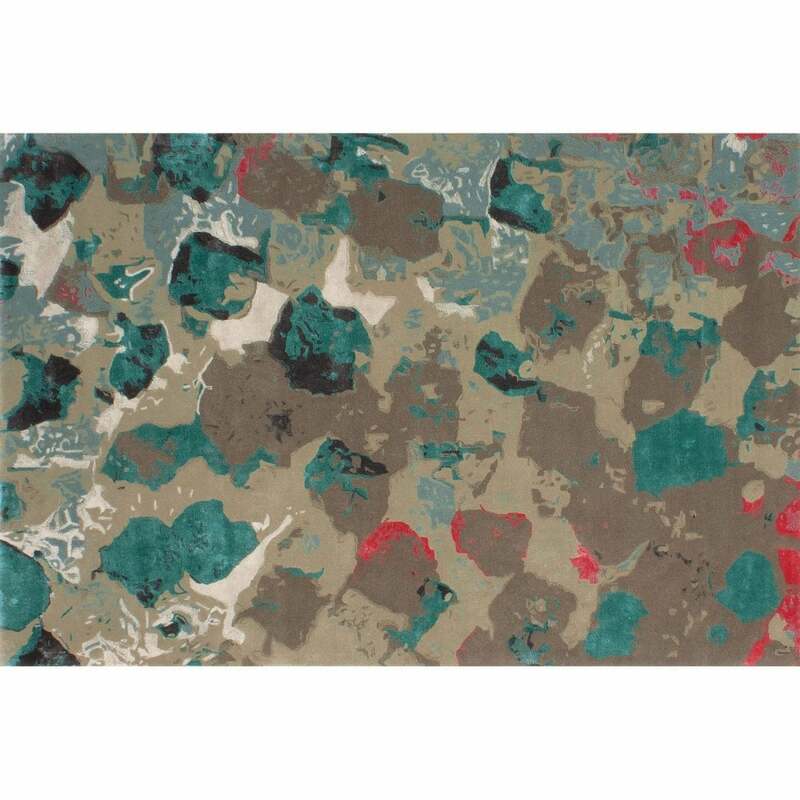 A fun and contemporary take on a camo pattern, Dizzy will add a pop of colour to any interior scheme. The abstract design works especially well in minimal and arty spaces. Hand-tufted from a New Zealand wool and viscose blend, this luxurious rug provides both style and comfort. Available in both standard and bespoke sizes. Make an enquiry for more information.